The fifth Living Lake Symposium was held on November 18 & 19, 2015. 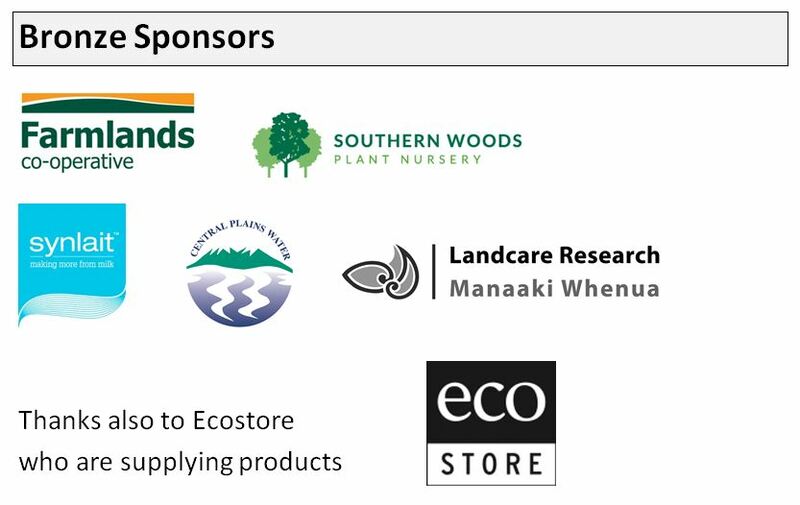 Thanks to everyone who made this event possible (see below for details of our sponsors). 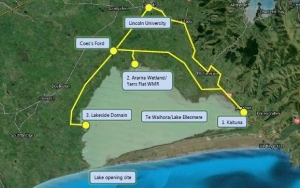 Two buses left Lincoln at 11am and travelled to Kaituna for a welcome from members of Te Rūnanga o Koukourārata. After lunch we visited Ararira Wetland/Yarrs Wildlife Management Reserve and Lakeside Domain, returning to Lincoln by 5pm. 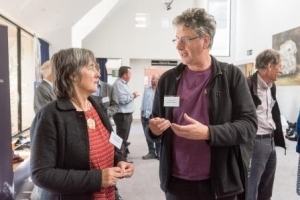 We heard from a number of speakers, including Tim Davie from Environment Canterbury who talked about the recently installed real time water quality monitoring stations in Te Waihora. A few photos from the 2015 Field Trip can be seen here. Thanks to David Hollander from Lincoln University for the photos of the field trip and the photos below. 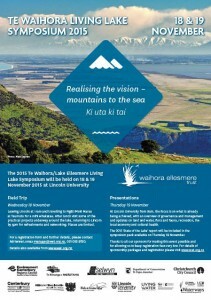 The focus of the presentations at Lincoln University was the 2015 ‘State of the Lake’ report which was included in the symposium pack. The full report can be downloaded and additional information and links are also available from the report page. 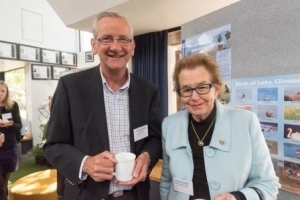 The day opened with a words of welcome from WET Deputy Chair Ray Maw and Environment Canterbury Chair Dame Margaret Bazley. Presentations included an overview of governance and management from Environment Canterbury Commissioner David Caygill. This was followed by updates on land and water, flora and fauna, recreation, and the local economy. 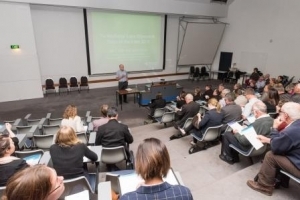 Unfortunately, due to illness, the cultural health update was not presented but an overview can be found on the state of the lake report page (scroll down for the cultural health section). 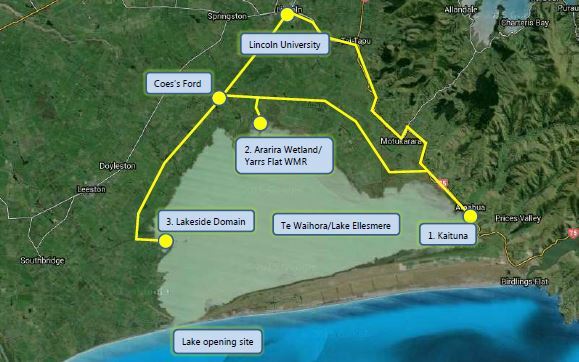 The 2015 Living Lake Symposium programme is available here. 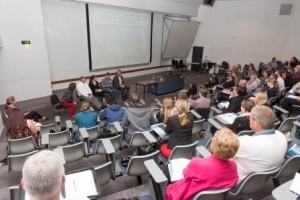 For 2015, a new feature was the panels of experts who answered questions from the audience. 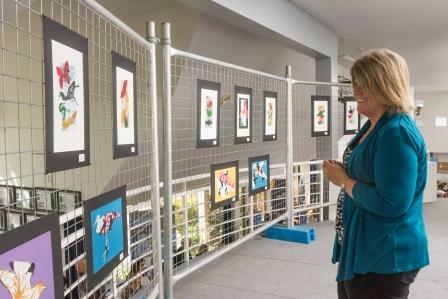 Thanks to the Year 7 Art classes from Darfield High School, and their teacher Bree Smith, for the artworks on display. 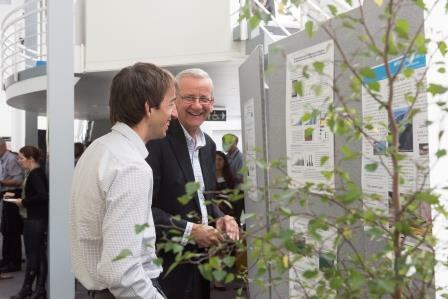 Thanks to all the organisations who brought along displays and information and the Waterways Centre for Freshwater Management and their students for a set a research posters which created much interest. Thanks to all partner organisations (listed at the bottom of the poster) and sponsors (listed below) for making this event possible and for allowing us to keep registration fees very low.